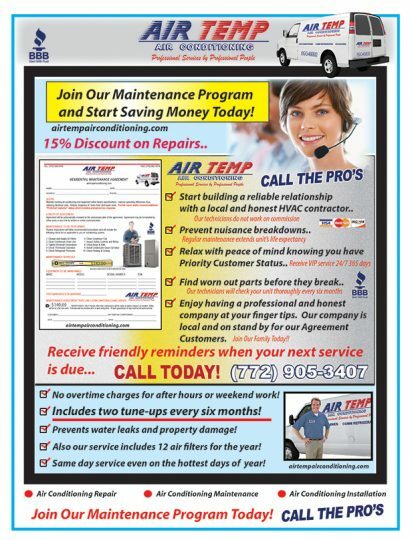 Looking for AC maintenance in Port St. Lucie, FL? 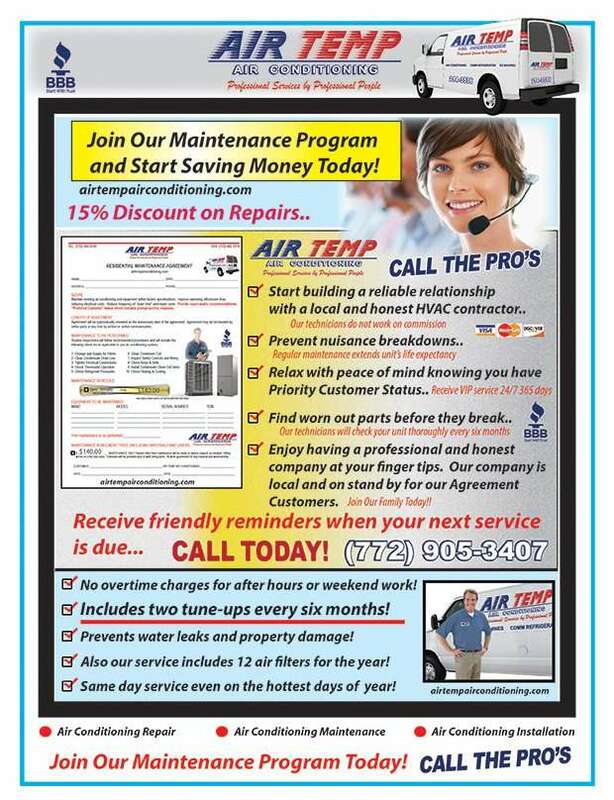 Become a priority customer with Air Temp Air Conditioning of Port St. Lucie. We offer a comprehensive maintenance package that saves you money and prolongs equipment life expectancy. The service helps prevent nuisance breakdowns, water leaks and property damage plus it comes with free service calls and diagnostics. Keep your home in clean air year round with air duct and vent cleaning in Port St. Lucie and St. Lucie West. air filters, or our 2 annual visits!